A friend of mine sent me this text, saying her church had just sung this hymn and though the music was not very engaging, the words were extremely powerful and would I write a new melody? I read through the text and saw what she was talking about. What a faith-filled hymn! Written by Samuel Rodigast in 1676 to comfort a sick friend, he lays out what it means to deal with the problem of pain from the perspective of faith. Our God is sovereign and full of love, and though he takes us through adversity, his plans are right and true. His promise is that he will not leave us in the circumstance through which he is taking us. Samuel's response is to trust that God will hold him and to be content through the pain. May we all be blessed with such a response that can only come as a result of the Spirit working in us. I pray this song would help our people through whatever trial God is taking them, knowing that some sweet day, we will all be free from the pain of this world. 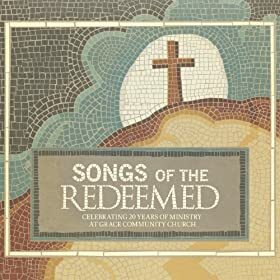 For the professional recording and a free copy of the SATB arrangement for this hymn, click here. And follow where he guideth. He is my God: though dark my road. He holds me that I shall not fall. He never will deceive me. I take, content, what he hath sent. His hand can turn my griefs away. I take it all, unshrinking. My God is true; each morn anew. Sweet comfort yet shall fill my heart. Whate’er my God ordains is right. Here shall my stand be taken. Yet am I not forsaken. My Father’s care is round me there. I've loved this hymn for many years. Here are two good versions of it. Absolutely one of the most beautiful songs regarding our God's Sovereignty that I have ever heard. Thank you for serving Him and being a blessing to others of the household of faith. Thirty five years ago my wife walked down for our wedding with the old tune. I still love the old tune. Nicely done. Keep up the good work! On May 24, 2001 we lost our daughter, Cordella Mercy. We had a verse of this song etched on her grave stone. The line in the first and last verse: And so to him I leave it all, was then and still is our confidence. I like your tune very much. Jeff, Great tune and arrangement of a great song. Will you be producing a piano score? Jeff, this is great. I want to embed this over at my blog. How can I do that? Thank you SO MUCH for this beautiful, SINGABLE tune!! I found the lyrics earlier today, and have been searching for the tune. May our faithful God richly bless your gift! The tune of the song simply captured me and upon close listening I realized the profound truths that was expressed made me love it even more. My search to find the song lead me to this site; thank you so much for sharing. I grew up singing this hymn, and have missed it. This tune is the most singable of all the versions out there, and musically matches the difficult truths in it. Thank you so much for making it available. Susan, Memorial Baptist Church, Middlebury Vermont.